Are you a member of the Partnership for Sustainable Textiles? Since 2015, the Otto Group has been a member of the Partnership for Sustainable Textiles (“Textile Partnership”), a scheme initiated by the German government. The partnership, whose members are corporations, NGOs and political institutions, aims to record, assess and constantly improve environmental and social standards along the textile value-added chain. We understand that some changes can only be made as part of a strong alliance, which is why the Otto Group has supported the idea of a textile partnership from the beginning and is actively engaged in the definition of its objectives and activities. The Group presented road maps in both 2017 and 2018 with a range of measures and targets. Find out more about the road map here. What other initiatives are you involved in? As well as the textile partnership, as an Otto Group company we’ve also been a member of the “Sustainable Apparel Coalition” (SAC) since August 2018. As a member, we are one of over 200 international organisations from the industry working towards a homogenous method of measuring sustainability in the textile supply chain (“Higg Index”). The aim of SAC’s standardised approach is to initiate targeted improvements among its members and to increase sustainability. Together with the Otto Group and OTTO, we’re also Fashion for Good partners. Fashion for Good (FFG) is a global initiative aimed at positively transforming the fashion industry through innovation. FFG works with its partners to promote start-ups that use the latest technical innovations to tackle challenging sustainability issues currently faced by the fashion industry. We’re also part of the “Business Social Compliance Initiative” (BSCI), now known as “amfori BSCI”. The aim of amfori BSCI is the permanent improvement of working conditions at our suppliers. The initiative was founded in 2004 by the Otto Group. More than 1500 companies now subscribe to amfori BSCI, all with one common goal: to improve social standards along the entirety of the value-added chain. This includes providing safe, healthy working conditions with regular working hours, fair wages, the right to form unions, the freedom of organisation and to set tariffs, and the elimination of child and forced labour. Independent audits are carried out in our supplier companies to ensure these principles are upheld. Alongside other international organisations, the Otto Group also signed the “Bangladesh Accord on Fire & Building Safety” in 2013. The accord’s goal is to ensure employees have access to safe and healthy working conditions. Although initially only designed to run for five years, in 2017 the Otto Group signed a transition accord which extends the original agreement. 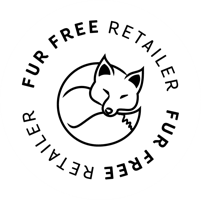 As a member of the Otto Group, bonprix has been a member of the international fur-free retailer programme “VIER PFOTEN” since 2014. Since July 2017 we’ve also been a member of “cads e.V.”, a cooperation dedicated to safeguarding the quality of shoes and leather goods, and labelling them with a quality seal.